It’s hard to think about Julia Child without picturing her idyllic life in France. If you’ve ever dreamed of living—and cooking—like the culinary legend in a cottage in the French countryside, now you can buy a vacation home owned by the woman herself. 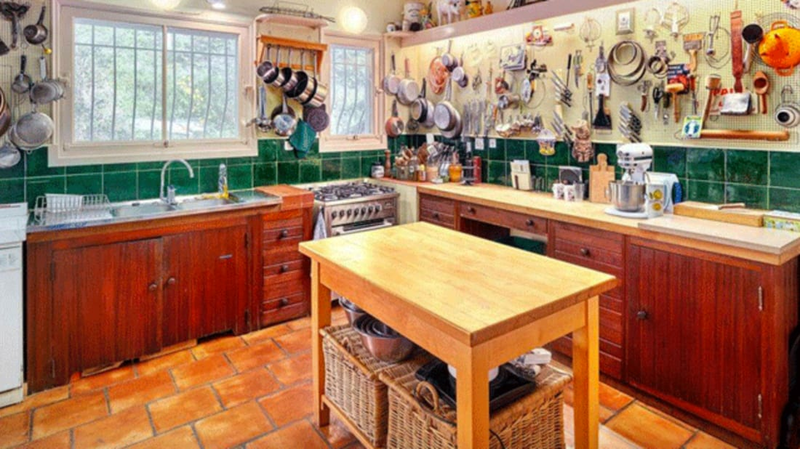 Julia Child’s La Pitchoune—meaning “The Little One” in Provençal—has just hit the open real estate market for the first time. Located on a hillside in the tiny village of Plascassier, the 1614-square-foot cottage is being sold through Sotheby’s International Realty for an asking price of 800,000 euros (about $880,000) according to The New York Times. It was constructed in 1963 to be used as a vacation home for part of each year by Julia and her husband, Paul Cushing Child. Though it had a major impact on her life, Julia’s full-time residency in France was brief. She lived there from 1948 to 1956, and when she left for America with her husband, they consoled themselves by dreaming of one day buying a home in France. The house they eventually built in Provence served as their link to the country for nearly 30 years. From the 1960s to the early 1990s, the couple made yearly visits to La Pitchoune, where Julia would entertain fellow culinary legends and cook with her cookbook collaborator and the property’s co-owner, Simone Beck. In light of Paul’s deteriorating health and Beck’s death in 1991, Julia gave up the property in 1992. The following year it was repurposed as a culinary school run by Julia’s friend and Beck’s former pupil, Kathie Alex. Alex was forced to close the school earlier this year due to health reasons, and now for the first time in its history the tiny home is hitting the real estate market. It offers all the features of a comfortable vacation home: a living room, three bedrooms, a shaded terrace, and a pool. But of all the rooms in the house, it’s the kitchen that will be attracting the most attention from potential homeowners. Designed by Paul Cushing Child himself, Julia’s kitchen was modeled after the one in their home in Cambridge, Massachusetts, which is currently being exhibited at the Smithsonian. The room is outfitted with extra tall counters customized to fit her six-foot-two stature, and peg-board walls still hung with her original equipment. The kitchen is the world's only remaining Julia Child kitchen located in a private house, making La Pitchoune an international treasure as well as a cozy country home. You can see more photos of the property below.